Dudley Brown was an Oakland City Councilman, Alameda County Supervisor and owner of a men's clothing store. Brown was born in Cuyahoga County, Ohio on January 5,1835 and came to California in 1872, settling in Sacramento before moving to Oakland two years later. In 1881, he founded the men's clothing store Brown & McKinnon at 1018 Broadway Street in downtown Oaklnad. In 1906, the store moved to San Pablo remained until his business partner died a few years later. Brown served on the Oakland City Council from 1887 to 1889 representing the Fifth Ward. His dsitrict comprised everything east of Broadway, south of Twentieth and Delger Streets, north of Tenth Street, and west of the dividing line between Oakland Township and Brooklyn Township. After losing election, he successfully ran for the Alameda County Board of Supervisors where he championed the development of infrastructure, particularly the growing need for roads. 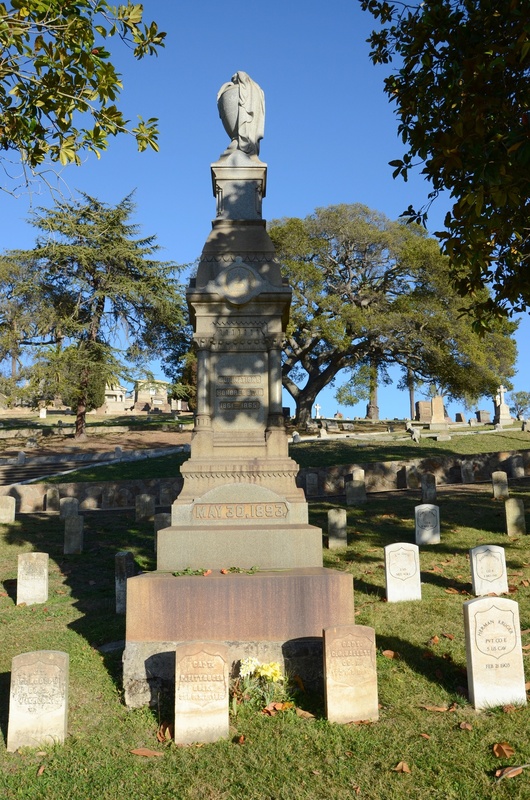 He served from 1890-1894 and then became a member of the Grand Jury for the United States District Court of Northern California, where he remained until 1903. He was one of the early organizers of the Merchants' Exchange and served as President. The Exchange association whose primary objective was to bring together the merchants of Oakland, bring new manufacturing to the City, improve transportation and work with city and county government to improve conditions for local merchants. He died two weeks after suffering a stroke while on his way home. He was survived by his wife Angenette and two daughters, Carrie Brown Dexter and Mrs. Benjamin Brittin. Louis de Rome (May 14, 1854 – January 7, 1910) owned the de Rome Foundry in San Francisco. De Rome was born in Buffalo, News York, in 1854 and came with his parents to California in 1858. 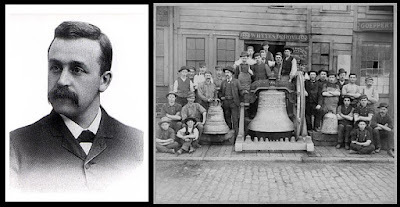 He was reared, educated and learned his trade as a brass molder in San Francisco, eventually becoming the head brass molder at the Garratt Brass Works for eight years. He eventually founded the Globe Brass and Bell Foundry, of which he is the practical business manager. 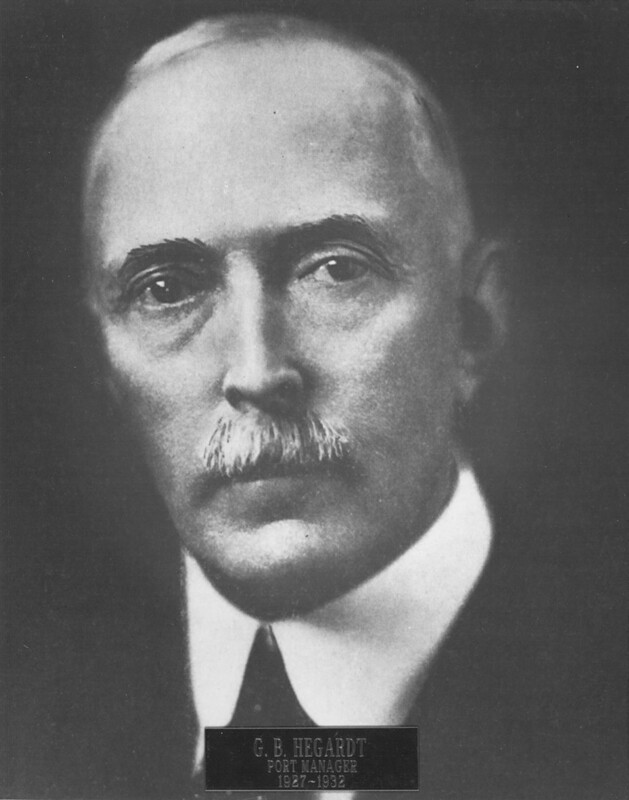 In 1880, he joined with Neil C. Whyte in founding the Whyte and de Rome Foundry. Over the course of his career, de Rome was responsible for forging many iconic structures, including twenty-seven large bronze lamp-posts for the new City Hall, numerous bells for fire stations, the bell at the San Miguel Mission, the Lick Observatory Medallion and statuary, the Native Sons Fountain in San Francisco, the Robert Louis Stevenson statue in Portsmouth Square, the Mechanics Fountain at Market & Battery, the President McKinley bust in Berkeley, the Robert Burns Monument in Golden Gate Park and the Christ Of The Andes statue in Santa Clara. The Whyte & De Rome Foundry also cast one of the most iconic structures at Mountain View Cemetery, the big, bronze elk that sits atop a tumulus in Plot 32. The elk was commissioned by the Oakland Lodge Number 171 of Elks to mark their burial plot at the cemetery. It was completed in 1896. The elk was modeled after an actual animal in San Francisco’s Golden Gate Park known as “Father Elk” who had been moved to the park from the wild. The sculptor was Frank Hapersberger and the cast was completed at the in Oakland. The burial plot where the elk stands is known as “Elks Rest,” which is common term for Elks burial plots and they exist in almost every state. In 1900, de Rome was badly burned, including his eyes, when he was experimenting with Acetylene gas, which was commonly used in welding. Louis DeRome died January 7, 1910, from heart problems that started aboard the ferry returning from San Francisco in April 1908. 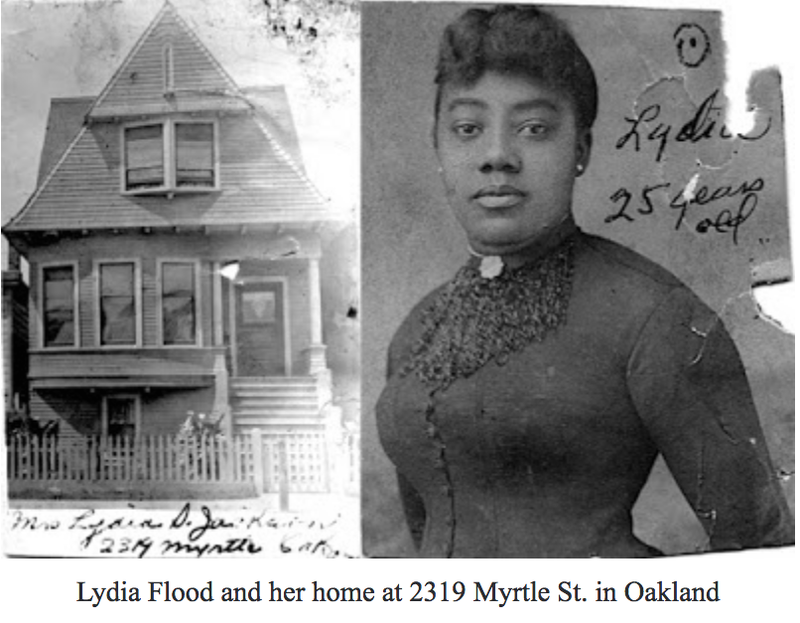 Lydia Flood Jackson was born in Brooklyn (now part of Oakland) in 1862. She was a businesswoman, advocate for women's rights and racial equality. Flood’s mother, Elizabeth Thorn Scott Flood, led the 19th Century campaign for desegregated education in California and founded the state’s first African American school in Sacramento in 1854. Her father Isaac Flood, one of the first African American residents of Oakland, also fought for education and equality for blacks. In 1871, he led the successful fight to admit black students into the Alameda County schools. Her brother George was believed to be the first African-American child born in Oakland in 1857. In 1872, she became the first African American child to attend the newly integrated John Swett School in Oakland. Flood continued her education attending night school at Oakland High School and married William Jackson. In part because of the efforts of her parents, the black schools were closed in 1875 and integrated schools became the law in California in 1880. An entrepreneur and inventor, Lydia Flood founded Flood Toilet Creams, a successful West Coast cosmetic business which manufactured toiletries, creams, and perfumes. She was also a political activist who traveled to Mexico, the West Indies, and South America on speaking engagements. She rallied audiences with her calls for democracy and questioning of white male supremacy in her speeches. Jackson challenged all women to question stereotypical roles that limited their options. She spoke at the 1918 state women's convention in favor of suffrage. She was present at the 80th anniversary of the First African Methodist Episcopal Church, a church her parents had helped found in 1858 (then Shiloh AME). At the time of her death at age 101, newspapers claimed she was the oldest native of Oakland. Along with her parents, she is buried in an unmarked grave in the Elks Plot. 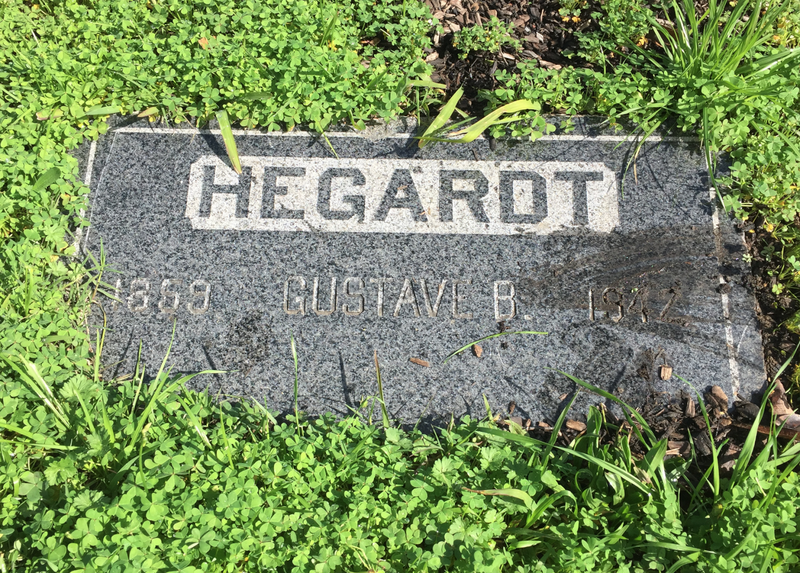 Gustave Hegardt was born in Sweden in 1859 and came to the U.S. as a boy. He graduated from several technical schools and was naturalized as a kkU.S. citizen in Cook County, Illinois in 1885. His earliest work records show him employed with the Illinois Corps of Engineers in 1887. The Portland city directory shows him working as a "U.S. Assistant Engineer" based in Ft. Stevens near the Oregon/Washington border as early as 1888. For fourteen years he supervised the construction of locks, jetties and fortifications on the Columbia River. 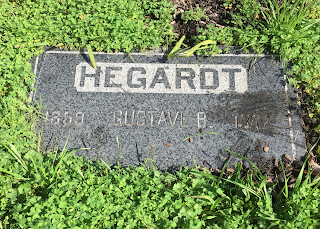 Hegardt moved to Portland in 1905 and founded the consulting firm Hegardt & Clarke, which specialized in land surveys, irrigation systems, and reclamation projects. 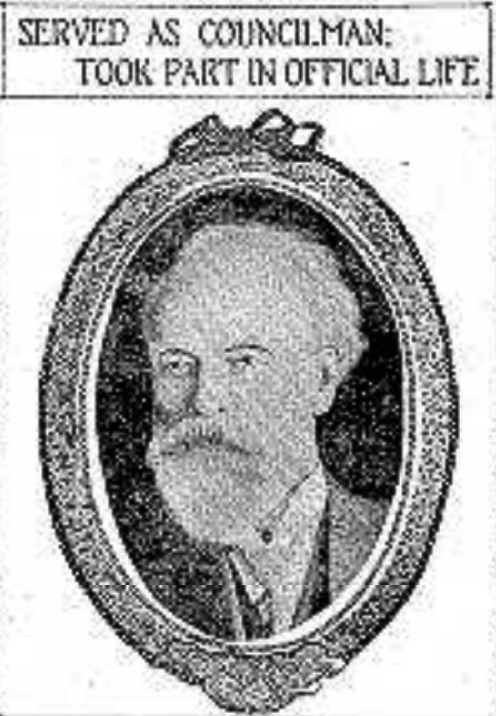 In 1911, he was appointed as chief engineer of the newly established Portland Commission of Public Docks, which later merged with the Port of Portland. In 1925, Oakland voters approved bonds for an expanded port with an autonomous Port commission. In 1926, the newly created Port of Oakland hired Hegardt as its first General Manager along with his assistant from Portland, Arthur Abel. Hegardt had been on a three member board of consulting engineers appointed by the Oakland City Council who created a general plan for harbor improvements in Oakland. 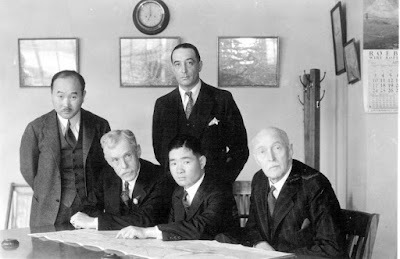 The other members were Charles Leeds, consulting engineer at the Port of Los Angeles and Charles Marx, a professor of engineering at Stanford University. The trio recommended a series of new priorities for the Port, which included a wharf and watershed on the western waterfront, a pier with a double transit shed on the estuary, a pier and shed between Clay and Washington, and a larger facility near Brooklyn Basin. The total cost was estimated at $9,960,000 ($135 million in 2017 dollars). The trio also recommended that Port administration be "vested in a board or commission of competent, responsible men, serving without compensation and free from political interference." Oakland Mayor John L. Davie opposed the expansion of the Port, believing that it could not compete with San Francisco and wanting to turn it over to private development. The first Board of Port Commissioners were sworn in on February 12, 1927 and included former Oakland Mayor and Governor George Pardee (who is also buried at Mountain View Cemetery). After meeting with Commissioner LeRoy Goodrich, who outlined his duties, he made his first order of business the construction of two double-fill piers at the foot of Grove Street and Clay Street, which were 520' long and 450' long respectively. The cost of the piers was approximately $1,000,000 (approximately $13.5 million in 2017 dollars). He also made the dredging of the inner harbor a top priority. Under Hegardt's leadership, the Port rapidly developed new terminals to accommodate larger cargo vessels, which served the Port for 40 years until the advent of containerized shipping. 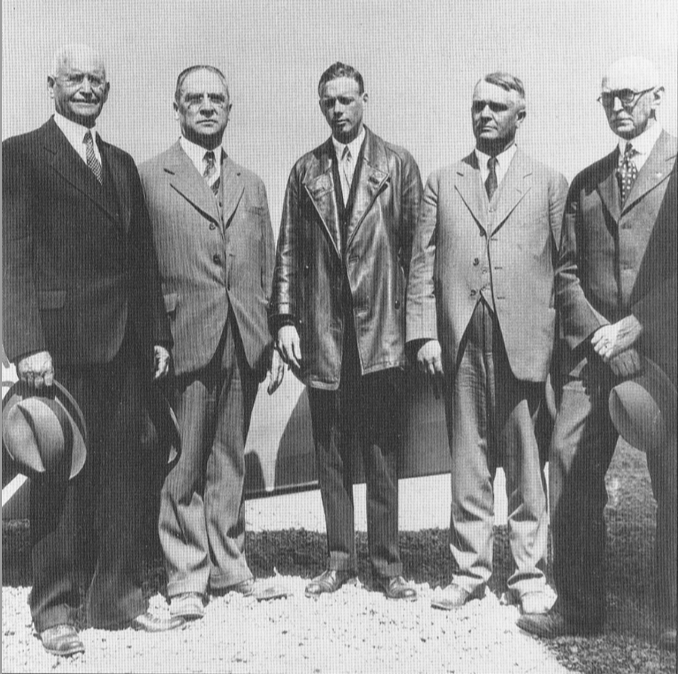 Hegardt and Abel also initiated studies in 1927 for a municipal airport in Oakland. Construction began later that year and was completed in 1929 and became Northern California's largest and best-equipped airport. In a July 5, 1927 report to the Board, Hegard wrote, "The grading of a runway, 150 feet wide and 7000 feet long, was completed on June 25th, in readiness for the Oakland-Hawaiian flight by an Army and a private plane...The details of this flight have been so fully covered by the press that it seems unnecessary to make further comments thereon in this report." The flight he references was that of the Fokker Bird of Paradise, piloted by Army Lieutenants Lester Maitland and Albert Hegenberger. When Hegardt stepped down as general manager in 1932, he was replaced by Arthur Abel. Hegard remained with the Port as a consulting engineer and was paid $400/month ($5,400/month in 2017 dollars). He died in 1942 and was honored by the Board of Port Commissioners. 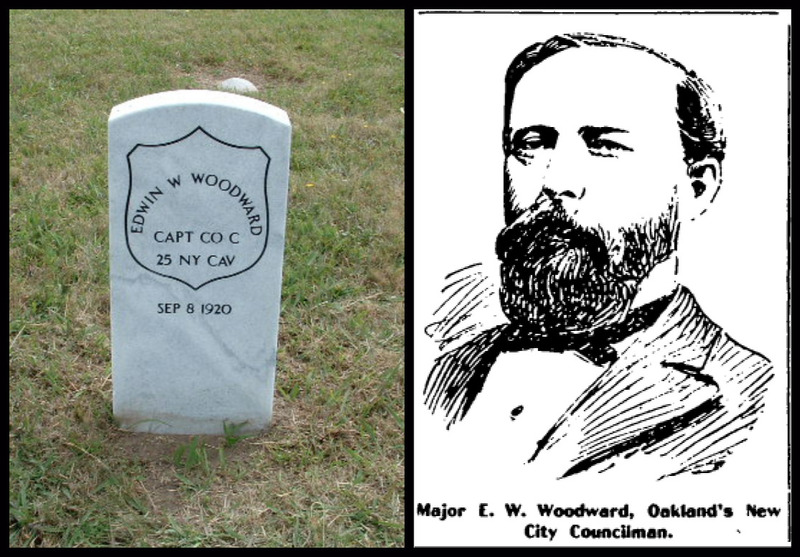 Captain Edwin Webster Woodward was a Civil War veteran and elected official in Oakland, San Francisco and Napa. Woodward was born in Tunbridge, Vermont on January 4, 1839 and migrated to Weaverville, California in 1859, He worked in mining and merchandising until the Civil war broke out in 1861, when he joined the 2nd Massachusetts Cavalry (also known as "The California 100." Also known as the CAL 100, the regiment was led by Captain J. Sewell Reed and was the first company from California to report for active duty in the field. The soldiers were assigned to the Second Massachusetts Cavalry and engaged in many hard-fought battles, including those of the battle of Winchester, Berryville, Pike, Charlestown, Opequan Creek, Front Royal, Snake Mountain, Waynesboro, Cedar Creek, Gordonsville, South Ana, Southside Railroad and Appomattox Courthouse, and participated in the same engagements in the Shenandoah Valley (where future President William McKinley also fought). Woodward remained in active service until the end of the war and the surrender of the Confederate armies at Appomattox. For gallant service he was promoted lieutenant, captain and major. He remained active in Grand Army of the Republic (G.A.R.) posts his entire life and was involved in erecting the monument in honor of G.A.R. soldiers at Mountain View Cemetery in Oakland, which was unveiled on Memorial day, May 30, 1893. After the war he returned to California and worked in the real estate and auction business in Oakland, becoming senior partner of the firm of Woodward & Taggart, who handled large lines of property in the Bay Area. He also established a real estate business in St. Helena, was active in the creation of the wine industry in Napa County and helped organize the Bank of St. Helena. He also partnered with James Gamble in the firm Woodward & Gamble, which built the western connection of telegraph lines which stretched across the continent. Their telegraph lines connected San Francisco to Salt Lake City. In 1898 he was appointed by Oakland Mayor W. R. Thomas to replace Aaron Fibush, who had resigned. His honeymoon on the City Council was short-lived, as after just ten days he was shouted down by fellow council members and chased from the chambers by an angry crowd after he voted to raise water rates. He was taken to the city prison where he found safe refuge until the angry mob receded. Apparently unfazed by his prior experience in public office, he accepted an appointment as San Francisco's Notary Public by Governor Henry Gage in 1901. By all accounts, his service in that office went smoothly. He was eventually appointed by subsequent governors as Notary Public for Alameda County and Napa County. Woodward was married to the former Addie O. Rogers, daughter of the late Henry Rogers, former proprietor of the Boston Journal.